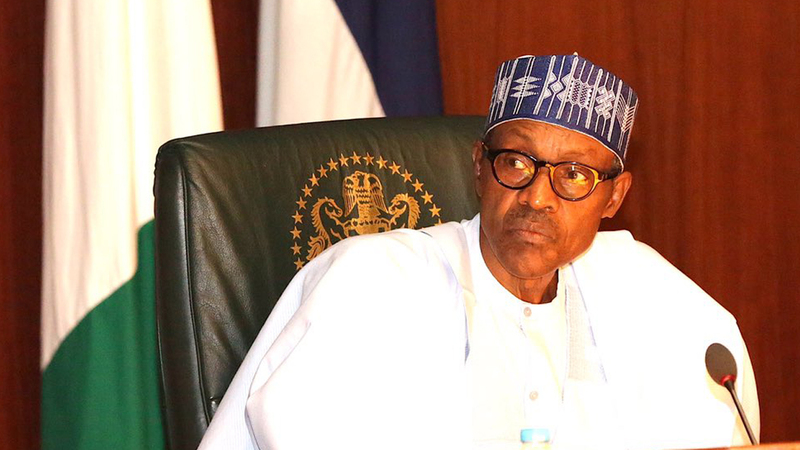 2019 elections: How viable is another Buhari option? Although he is barely into the second two-year half of his tenure, the question of whether President Muhammadu Buhari would seek a second term of office in 2019, is already being asked by Nigerians especially stakeholders in his All Progressives Congress (APC) ruling party. Many of the politicians see the decision of the president on the issue as very critical, not only to their political ambitions but as a determinant of the colour of politics that would emerge in Nigeria as the country approaches the election year. To some observers, if Buhari decides to throw his hat into the ring once again, his chances of making a repeat of the 2015 win are slim because the terrain has considerably changed from that of 2015 while some consider it a done deal because of the massive following that the president still commands, especially in the northern part of the country. Although in the last two years the Buhari administration had reduced corruption in high places and recovered some looted funds from corrupt government officials, many sectors of the Nigerian polity, especially the economy, are still calling for attention. 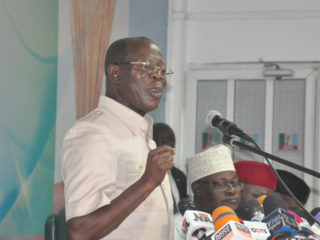 Apart from the unity of the country, which is facing one of the greatest challenges since the civil war years, culminating in secession threats and hate speeches across the land, insecurity, industrial strikes and economic fallouts such as inflation and youth unemployment, are serious issues heating up the political space as 2019 is approaching. The Minister of Women Affairs, Hajia Aisha Alhassan was the first to bring Buhari’s second term issue to the public arena when she recently declared her choice of presidential candidate in former Vice-President, Alhaji Atiku Abubakar, a decision that did not go down well with the leadership of the ruling party. While many praised her courage for starting the debate on who succeeds Buhari, the Minister has also received knocks for being disloyal to her principal by those who also called for her sack from the Federal Executive Council (FEC). She recalled Buhari’s statement during the campaigns that preceded the 2015 elections where the president was quoted to have said that all that is needed to clear the mess the former ruling Peoples Democratic Party (PDP) caused in Nigeria was just a term of a committed administration. The Minister has however said that the statement credited to her shouldn’t have been made as she appealed to the leadership of the party when she was called to explain the motive behind her declaration. However, the fact that she still felt at home among other cabinet members, showed that Alhassan is not alone in the believe that one term is enough for Buhari.But as it is common with politicians especially in Africa, those holding state authorities always yearn for more years. Besides, the president may have made the statement of one term back then for political exigencies needed to take power from a ruling party. After his unsuccessful bid for the presidency in 2011, Buhari was also quoted to have said that he would never run for the office again before being prevailed upon by his supporters to try again in 2015. There are strong indications however that Buhari might consider a second term as the body language of the presidency, particularly the reactions to Alhassan’s position, indicate that even if the president is not interested, he would be goaded to seeking reelection by powerful interests within the corridors of power. 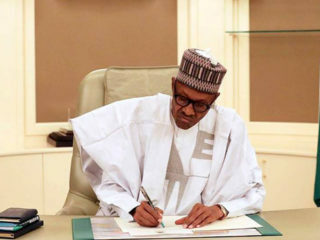 Although the President’s first two years in office had not addressed many national challenges, a situation compounded more by controversies over his health, there is still hope that the remaining two years might yield the expected dividends of democracy considering the fact that the nation had just been declared to be out of economic recession. The health of the president has also become a big issue in the preparations for the next elections as many Nigerians, giving the development in the last few months, are not comfortable seeing their president going in and out of hospitals when urgent state matters are calling for attention.Many are also worried about the mysteries surrounding the health of Buhari as matters relating to it are shrouded in secrecy putting many Nigerians in the dark. Upon the arrival of Buhari from the United Kingdom where he had gone on medical vacation, his Special Assistant on National Assembly matters, Alhaji Abdulrahman Sulaiman Kawu Sumaila, said it is only competent medical experts that can ascertain whether the President is fit to run for a second term in 2019 or not. He also added that it was normal for the elderly like Buhari to fall sick; saying even the pressure of work could make him ill. The question now is would Nigerians continue to wait on an elderly man who could fall sick at any time?Taking a cursory look into some of the likely factors that may militate against Buhari’s second term ambition, some political analysts posited that the APC administration, contrary to the promises it made during the campaign period to tackle headlong the state of insecurity that nearly suffocated Nigeria at the wee hours of the erstwhile President Goodluck Jonathan’s government, is yet to restore security in the country. For instance, the Boko Haram insurgency is still far from being over in the Northeast geo-political zone while agitations by separatist groups clamouiring for the dismemberment of the nation are escalating on daily basis. As a result of the way these agitations are being handled, may watchers of political events in Nigeria are of the opinion that the president’s popularity especially in the Southwest which provided the regional foothold to ascend the top seat for Buhari, may be waning. Coupled with this, analysts believe, is the alleged sidelining of the leadership of the ruling party in the Southwest, which reportedly got the short end of the stick after providing the desired platform that made the Buhari presidency possible in the last election. The believe is that it would be difficult to carry the Southwest along this time around because of the alleged disenchantment of politicians from the zone who felt that they were denied full participation in the administration. There are also allegations that the president, rather than being a nationalist that his office requires him to be, has turned himself into a sectional leader with references to his handling of the menace of Fulani herdsmen with kid gloves and coming down hard on separatist’s group, Indigenous Peoples of Biafra (IPOB), which government banned and on which members soldiers were unleashed. This is coupled with the fact that crime rate is gradually becoming alarming basically because of the escalating state of poverty and youth employment, which the government has not been able to tackle adequately in the last two years. Another critical factor that President Buhari would have to contend with, which will also be a deciding factor in the 2019 elections, are the issues surrounding demands for a restructuring of the Nigerian federation by many Nigerians. Analysts believe that the matter has indeed become a litmus test for both the presidency and the ruling party, to show capacity and desirability to provide a new political direction for the country. Speaking on the two years of Buhari’s administration, elder statesman, Chief Ayo Adebanjo alleged that the period has been unproductive and destructive. He said, “How far has he performed since a assumed office? His administration is shaky, unproductive, negative and destructive in nature. Buhari said he has banned IPOB activities when the Fulani herdsmen who are still roaming about the country with AK47 are not termed terrorist group. “There is no question of continuing his tenure. What we are praying for is for him to rule us better to prove that he is a born again democrat. He should not confirm the allegation that he is a dictator because all his activities so far, have been pointing to that. He is not going by the rule of law. 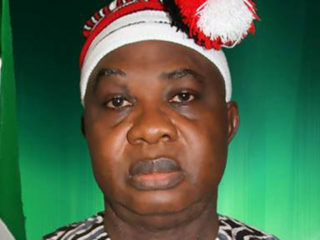 Another elder statesman, Chief Guy Ikokwu however said it is too early to speculate about the 2019 election.According to him, “The problem really is in view of the problems facing the nation at the moment. It is still early for any group or politicians to speculate about the 2019 elections. For instance we do not know what kind of country we will have in 2019, structurally speaking, whether it will be a unitary president or federal president. “If it is a restructured presidency then Nigerians know that there will be just very few people wanting to become the president come 2019, they will rather try to stabilize their federating unit of the true federation. “The mid-term report of President Buhari’s administration has been publicized in the past three month and it is very clear that the myriad of problems which this administration inherited are very huge. The first one is insurgency, which is said to have been technically defeated but still carrying out atrocities.